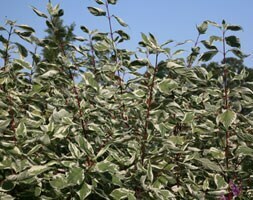 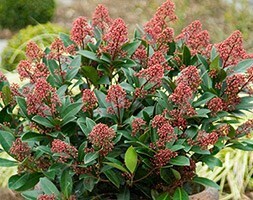 This deciduous shrub has oval, mid-green leaves and produces small, creamy-white flowers in May and June. 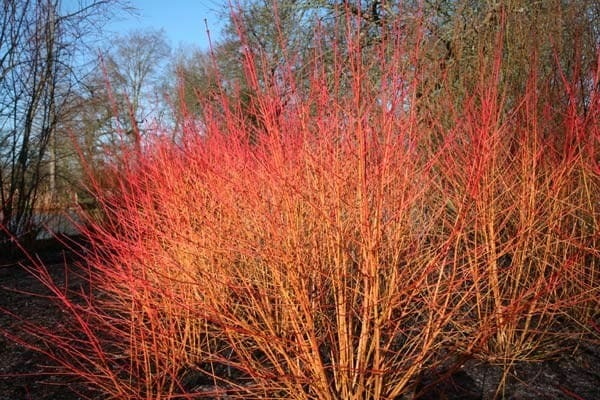 But it's really grown for the brilliant, flame-coloured stems that are revealed when the leaves, which turn orange-yellow in autumn, fall. 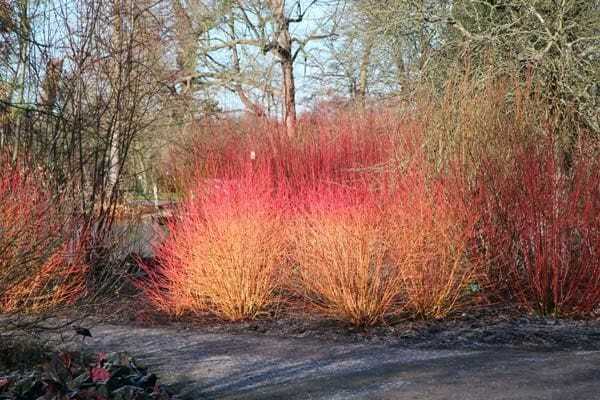 This fabulous dogwood looks best planted in groups in damp areas of the garden, beside water, or in a winter border. 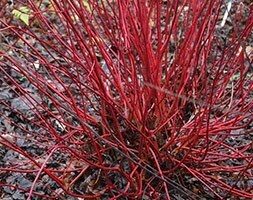 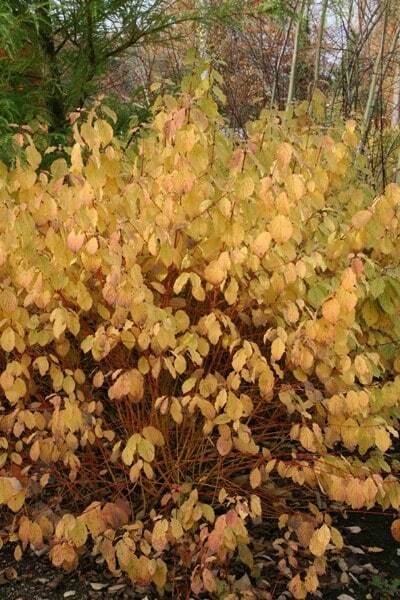 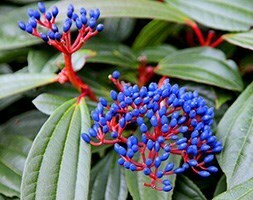 One of our recommended plants, it's best in full sun, and works particularly well with red or purple-stemmed varieties of dogwood. 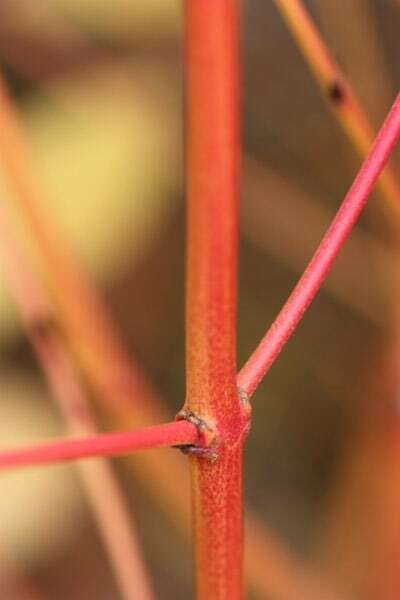 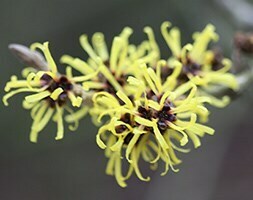 Garden care: For best stem colour, leave the plant un-pruned for the first year after planting, but then cut the stems back hard (o within 5-7cm) from the ground before the buds break in March. 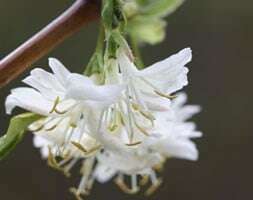 Apply a generous 5-7cm (2-3in) mulch of well-rotted garden compost or horse manure around the base of the plant.